I had always thought Pit Bulls to be one of the strongest, most resilient and toughest (in a good way) dogs there are. Now having been introduced to Hounds since moving to the country/rural area called Assumption Parish, they have been added to the list of “pretty awesome dogs”. This is Bocephus. 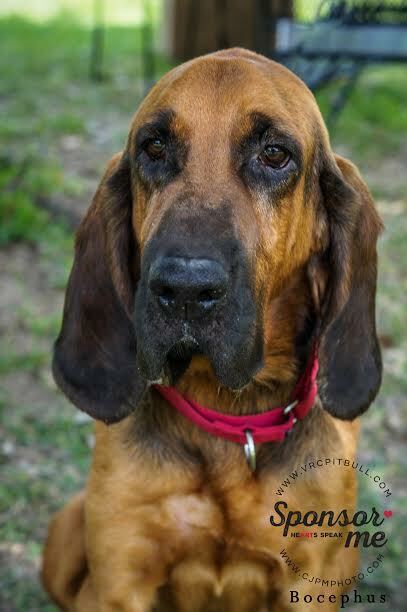 Bloodhounds are some pretty sturdy dogs who for years have been used for tracking in some of the toughest terrain in the South. So why then did his owner bring him to a shelter in St. Landry Parish in the back of a pick up truck, in horrible shape like he was some old used up “tool”. After taking him into our care, Bocephus’ heartworm disease got worse and he had to be rushed into emergency surgery where he barely survived but again, the hearty dogs that they are, this big ole Bloodhound made it through. He has survived starvation, heartworm, and so many other medical conditions that it’s too many to list. This dog wants to survive. He wants to live. He wants to have a real home where he can lay on a soft couch. But sadly his many medical issues will keep him with us for a long time. For now he lives with our founder, Tia Torres where his spunky and sometimes bratty attitude keeps him alive and kickin’. “Bo” is a country pup and as they song goes…A COUNTRY BOY WILL SURVIVE!